Scheduling regular HVAC system maintenance is one of the best ways to ensure you are never left battling the bitter cold or sweltering heat at your home or business. Unfortunately, it can be easy for busy home or business owners to overlook their system’s needs until it is too late, resulting in costly repairs, high energy bills or the need for premature replacement. While there are a handful of things you can do to help your system run more efficiently, only a trained professional can diagnose internal mechanical issues and perform complicated repairs. Having an HVAC maintenance plan and receiving annual or biannual maintenance often results in system-damaging or efficiency-hindering problems being discovered before something breaks. In health care, it’s almost always easier and more affordable to get preventative checkups and catch problems early rather than let those treatable issues go undiscovered and worsen into a full-blown emergency. 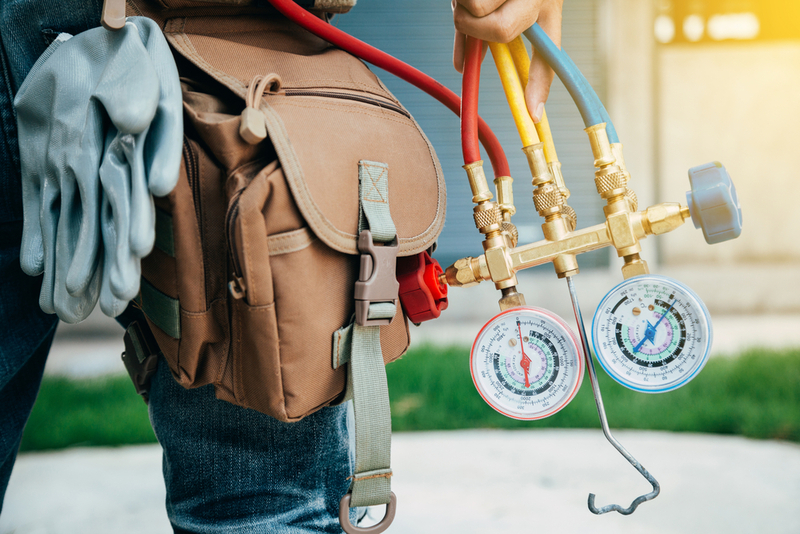 Air conditioning and heater health aren’t all that dissimilar in this respect, which is why having an HVAC maintenance plan can be so beneficial for home and business owners. Just like your car needs regular oil changes, your A/C unit needs regular maintenance to perform at its best. A maintenance plan is an agreement with a service company or manufacturer to ensure your system is inspected and serviced before peak seasons. Air conditioner or heater problems can be a homeowner’s worst nightmare. Not only do they cause unbearable or even unsafe indoor temperatures, but repairs are often expensive – sometimes as much as $500 or more. Knowing your unit has been professionally inspected and cared for before the especially hot and cold months allows you to rest easy knowing there aren’t any expensive or unpleasant surprises in your future. Your HVAC system relies on several major components to function, such as the evaporator and condenser coils, compressor, fan and piping. When one of these parts gives out, your entire system could pay the price. An HVAC technician can identify small issues before they become larger ones and extend the life of your entire system – most HVAC systems should last 15 to 25 years with regularly scheduled maintenance. Signing up for a maintenance plan does cost money, but you will pay a lot more for major repairs. As mentioned previously, HVAC repairs are often exorbitant and replacing the entire system even more so. Recent estimates calculated replacement blower motors costing anywhere from $150 to $750 while a new unit and installation tends to cost several thousand dollars at the low end. Heating and cooling make up more than more than half of the typical home’s energy consumption. A unit that is not functioning properly will run more frequently and longer, using more energy and costing you more money. Regular cleanings and tune-ups will ensure your unit is performing at its peak and consuming as little energy as possible. Balancing work, family and other daily responsibilities can be a challenge. An HVAC maintenance plan makes routine service simple. Most providers will remind you when it is time for maintenance and will schedule an appointment according to your availability. Simply put, a maintenance plan gives you one less thing to worry about around the house. Greensboro residents looking to take care of their HVAC service needs should look no further than Kay Heating & Air Conditioning. Our maintenance plans, like “The Right Choice Club,” come with benefits such as a 15 percent discount on parts and labor and $50 toward the purchase of new equipment each year you renew. Plus, we tell you the price upfront and charge by the job, not the hour. For more information about our maintenance plans or service, call 336-274-6323 or contact us online. Should I Install a Whole-House Humidifier? HVAC Tips for the Most Wonderful Time of the Year!